Social Entrepreneurs Womens Cooperatives are run by businesswomen from former Heifer International self-help groups who are determined to put the social back into social enterprises. Many business cooperatives in Nepal have a shady reputation. Although the objective for most of them as stated in their articles of association is to work for the good of the community, most are focused only on making a profit and serving a few. Enter a cooperative formed of small-scale farmer families, represented by the women in those families. Whats different? These cooperatives have geared themselves to be true to the ideology of a cooperative, to serve the community first. Twenty three of these cooperatives are now fully functional in seven districts. They are working to voice their communitys needs, build a rapport and earn the trust of local governments and other resource providers. The ball started rolling when the Kabasoti and Shantikunja womens cooperatives each received a grant of 100,000 Nepalese rupees (about $1,400) from the governments cooperative division to run fair-price consumer shops more than a year ago. 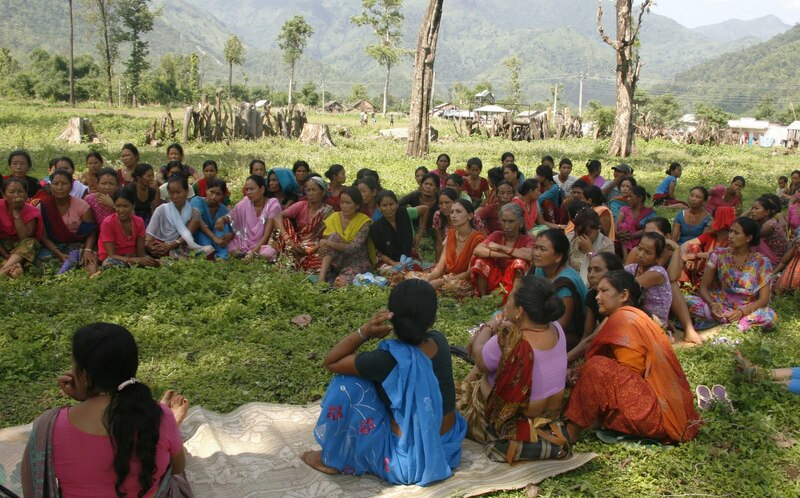 The governments District Agriculture Development Office has licensed almost all of the womens cooperatives in Chitwan and Nawalparasi to distribute agricultural fertilizer. Shantikunja womens cooperative of Jirouna has now started a vermin-composting business and is expanding the production to more households. All the fertilizer produced will then be sold through the cooperatives fertilizer shop. Cornerstones womens cooperative is carving a niche on poultry farming. Fifteen members have already started their own co-ops. More are preparing to start. These cooperatives are extremely dedicated to their community. They are transparent and are run by the farmers themselves. We are confident that by distributing through them instead of a private company, we will avoid problems of swindling, hiked prices and artificial shortages caused by hoarding, said Laxman Pokharel, the Chief of the Chitwan District Agricultural Development Office. In other support, the Nepal Soil Conversation Office in Nawalparasi provided a grant of of 80,000 Nepalese rupees (about $1,120) to the Ganjyoti womens cooperative for organic turmeric farming. The village development committee of Kabasoti provided 40,000 Nepalese rupees (about $560) for training to the Kabasoti womens cooperative. 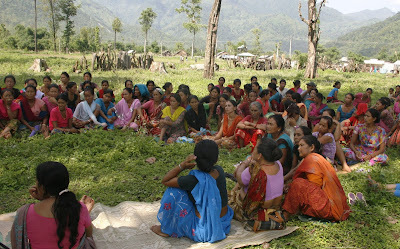 The Buffer Zone Program of Pithaulie gave 15,000 Nepalese rupees ($210) to the Digopan cooperative. By channeling the money through the cooperatives, these entities are assured of just distribution and sustainable impact. A leading private bank, has provided Sarvangin womens cooperative with a loan of 1,000,000 Nepalese rupees (about $14,000) without collateral, to buy buffaloes for 15 members. Their enterprise skills and confidence are so inspiring. The cities are now saturated. These rural areas and rural entrepreneurs are the next big thing that commercial banks need to invest in to bring about the next economic boom, said Ashoke SJB Rana, the CEO of Himalayan Bank Limited. The bank is currently processing another loan for another womens cooperative and plans to invest significantly in the women's cooperatives. The Social Entrepreneurs Womens Cooperatives expanding network of members also help to communicate messages regarding community health on topics such as domestic violence, flu outbreaks or vaccination schedules. The Ratnanagar municipality appointed the Shantikunja cooperative as a coordinator of its womens violence prevention desk. Its effectiveness has doubled since, as the cooperative uses its network of women members to report and take action against violence against women. Here again the network of women prove crucial to making things happen. Radio Chitwan FM broadcasts a cooperative education program twice a month in coordination with Shantikunja and Sarwangin cooperatives that helps encourage other farmers to take larger steps toward self-reliance. Read the World Ark article on women's cooperatives in Nepal, and revisit the story of transformation of Heifer participant Ganga Khanal, a member of the Shantikunja women's cooperative. View a short video update below with Khanal this year to learn about her personal progress in Jirouna, Nepal. To see Ganga Khanal's first World Ark video from November 2009, click here.